I have a bit of a twisted fascination for Revolutionary characters that suffer a dramatic downfall after a large amount of popularity. One of these is three times minister of finances Jacques Necker who, frankly, did not have the easiest ride. His infamous Compte rendu au roi (1781) was a document in which Necker manipulated the accounts to present a more positive image of finances. Through this, he gained a tremendous amount of popularity, sometimes depicted as a saviour of France (there was an outcry when he was dismissed on 11 July 1789, just before the storming of the Bastille). By 1790, however, it was clear that he was not up to the task and his popularity evaporated. I want to draw attention to two prints from 1790 which depict Necker as a charlatan. They’re part of a much wider trend of prints that are fascinated with the concept of unmasking (but that’s a whole other story). 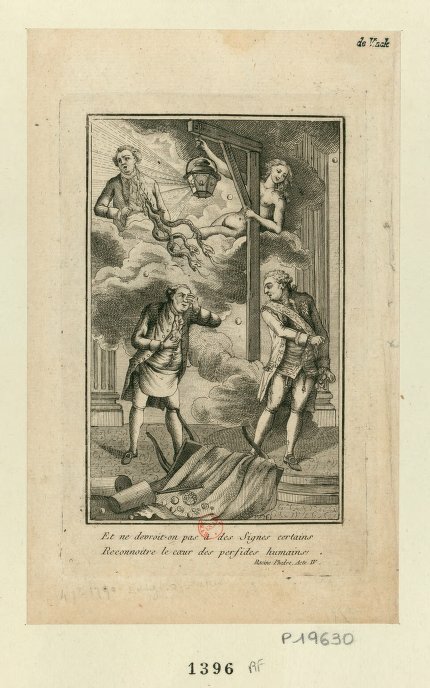 The first print is called ‘Et ne devrait-on pas à̀ des signes certains reconnaitre le cœur des perfides humains’ (1790). The title comes from lyrics taken from Act 4 scene 2 of Rachine’s Phèdre, which immediately adds a dramatic layer to the image. The lantern was used very frequently in 1790 prints, in part because this word has a double meaning, referring on the one hand to the illuminations of a magic lantern, and on the other to lynching. Both senses are used here. 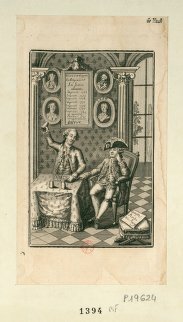 This print is less obvious than the previous one in its satire, until you look at the framed text in the background (‘New way to regenerate France: borrow 1774 / borrow 1775 / borrow 1776 […] product of these operations: deficit’). In the foreground Necker makes a game out of the accounts – but it looks like the king is not convinced. For now, at least, artists are still willing to give Louis XVI the benefit of the doubt. Charlatans, as the ultimate manipulators, are no strangers to brutal reversals of fortunes, and Necker’s own iconographical evolution deserves its own study, alongside the more popular Marat, Mirabeau, or Louis XVI. 7 mai 1790, p. 539. By Clairet in Blog, PhD rebooted on June 30, 2015 .